Crochet octopus toys are the perfect plush item to comfort prematurely born babies who have to spend their first days of life in the NICU. Not too many years ago, premature babies were placed in incubators and went without much human touch. Now we know that babies need the human touch to survive, thrive, and grow, especially in their earliest days of life. Failure to receive that all-important comfort can result in lifelong mental and physical health challenges. NICU rules have changed as a result. However, the babies there continue to need all of the comfort that they can get. That's where the crochet octopus toys come in. In 2017, CNN reported on emerging research that preemie babies benefit from cuddling with these crochet toys in the NICU. The toys provide comfort to the babies, which is important not only for their mental health but also for their physical challenges. Preemie babies often struggle with issues related to breathing and feeding because their lungs and some other functions aren't fully developed, yet. 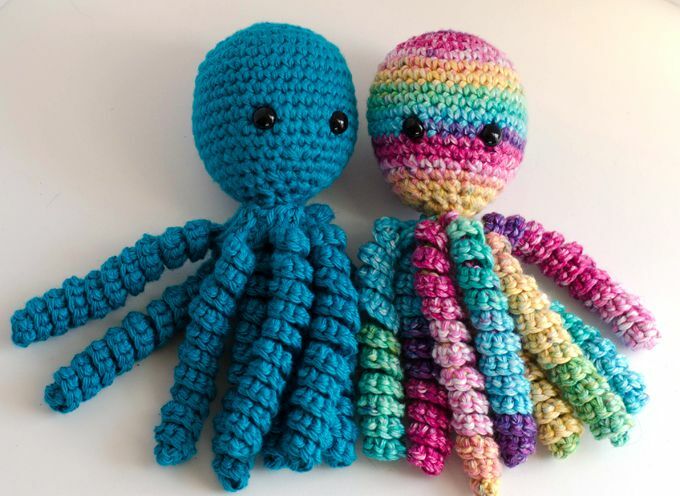 Some research shows that babies cuddling crochet octopus toys saw improvement in breathing, as well as more regulated heartbeats, which improves oxygen levels and leads to overall better health. You might ask why you can't just send any crochet toy to a preemie for cuddling. While certainly some cuddling is better than none, the crochet octopus has a feature that other toys don't have—tentacles. Doctors believe that the tentacles remind these young babies of the umbilical cord, which in turn reminds them of being in their mother's womb, creating a sense of safety. Babies holding these tentacles are not only calmer in general, but are also less likely to pull out their tubes and monitors. If this warms your heart and you want to help, you'll find that many hospitals accept crochet octopus donations. You can check with your local hospital, or you may want to look into the Octopus for a Preemie organization. We've rounded up some of the best crochet octopus patterns to send to newborns. Remember to use baby-friendly yarn and safety eyes. When Cheryl learned about how crochet octopuses were helping preemies, she wanted to contribute. However, she didn't love any of the crochet octopus patterns out there. That's why she created her own. It has a slightly oval head, which is true to the real creature. She also has some great notes in the article about using safety eyes and checking for specific requirements at the hospital where you donate. If you want to avoid the issue of safety eyes altogether, then one option is to forgo the eyes entirely. They aren't necessary to make a cute crochet octopus. Lilla Bjorn Crochet used this pattern and explains why she chose a no-eyes design. The pattern is by Anastasia Popova of Crochet for Babies. This free crochet octopus pattern was recommended in a Martha Stewart article about how these plush toys help preemies. The pattern is available in both US and UK crochet terms. This toy uses crochet eyes so you don't have to worry about safety eyes. Note that there aren't specific instructions for personalizing the octopus with accessories, but you can get some great inspiration from the photos. This free crochet octopus pattern is unique from the others because the designer provides you with three different ways to finish off the toy. This allows you to create several different styles, which is fun for you as the creator and also makes the gift a little more special for the family. Some crochet octopus patterns are made in two parts. However, this one is a seamless crochet project worked from the top down. Like most of these patterns, it's worked primarily in single crochet stitch, sometimes in the front loop only. Crochet octopus toys were first used in hospitals in the UK. In fact, many of the groups that accept donations are there as well. If you're used to working with UK crochet terms, then this pattern will suit you well. This is a two-in-one crochet pattern. It includes the crochet octopus pattern. Plus a simple crochet beanie hat pattern. There are instructions for a preemie size and a newborn size hat. This pattern is for sale on Ravelry. This adorable crochet octopus pattern has a head that's a little bit reminiscent of the cute ghosts in Pac-Man. Even without the tentacles, it's a great toy. Of course, you want to add the tentacles if you're donating them to heal preemies in the NICU, because that's the part that calms them most. 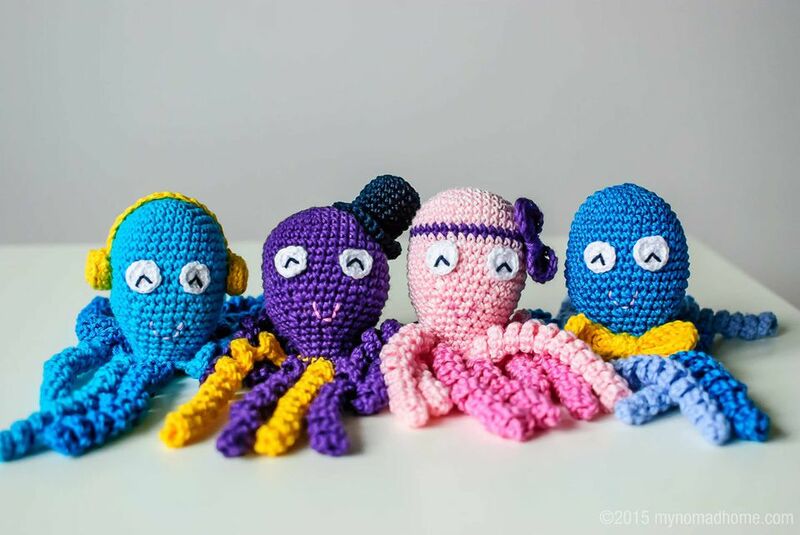 This crochet designer points out that while the crochet octopus is particularly good for NICU preemies, it's also a good toy for other babies as well. It promotes motor development and sensory stimulation, which every baby benefits from. The Etsy reviews for this crochet octopus pattern all say that this is more than just a cute design; it's also a pattern that's easy to follow, too. If you're a relative beginner to crochet then you might like this one.